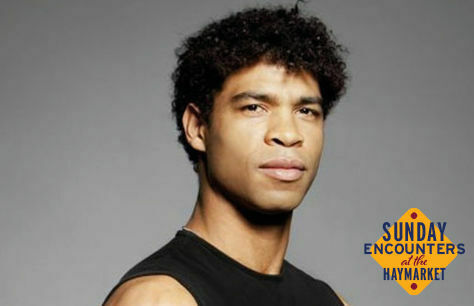 Carlos Acosta in Conversation with Mike Parkinson tickets available now! One the great male ballet dancers of our generation, Carlos Acosta did not come to dance through traditional routes. Born the youngest of 11 children to a family living in poverty in one of the most impoverished neighbourhoods in Havana, Acosta was pushed to train at a state funded dance school as a way to keep him out of trouble and ensure he was provided with lunch everyday. Carlos went on to distinguish himself and become a sought after dancer while still in his teens. By the time he was 18 he was a principal dancer for the English National Ballet, the youngest dancer to have achieved that honour. With a story that is as captivating as Acosta's movements the one night only conversation is sure to be intriguing and may even feature a short demonstration of his dance prowess. His long career has included work with the Houston Ballet, the Royal Ballet and work as a guest artist with various companies. Having retired from his classical career in 2016, Carlos founded his own dance company Acosta Danza in Havana and has been directing for the company as it tours internationally. It has also been announced that Carlos Acosta will become the Artistic Director of the Birmingham Royal Ballet from the beginning of 2020. This one night only residence at the Theatre Royal Haymarket will be facilitated by Mike Parkinson, the youngest son of renowned journalist and television personality Sir Michael Parkinson. Tickets for Carlos Acosta in Conversation with Mike Parkinson are available for one performance only. If you want to guarantee your seats to this candid conversation be sure to book your seats early. Book your Carlos Acosta in Conversation tickets now to secure your place at this special one night only event.